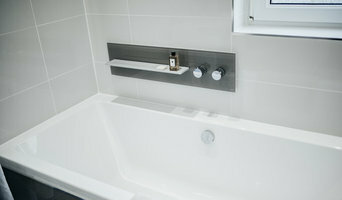 Vizzini Bathrooms & Kitchens ltd.
Vizzini Bathrooms is a family-run business and have been working in the bathroom industry for many years, gaining valuable experience in all areas, from bathroom design to plumbing and fitting. We pride ourselves on creating individual and bespoke bathroom design solutions and fit-outs, using our extensive trade knowledge and experience to ensure that we never fail to deliver on style, design and quality. In addition to our bathroom services, we also offer kitchens, using the same method of surveying, designing and working with our customers to create their ideal space. Established since 1980, we are a small family business priding ourselves on the high quality of work we provide. We provide plumbing, heating, and joinery services to customers in Edinburgh and the Border areas, and we are happy to travel to complete work. All tradesmen are part of the family, and have serviced apprenticeships within the company, ensuring that we consistently meet the high standards our customers expect. Customer satisfaction is highly important to us, and no job is complete until our client is completely happy with the result. 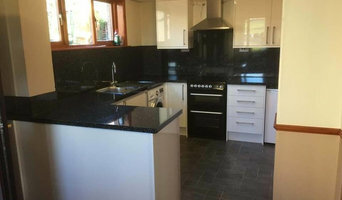 Welcome to Home Innovations (Fife) Limited. Fife, Tayside and Central Scotland's leading online UK-wide supplier of high specification DIY kitchen units, fittings and appliances. On our website, you will find an extensive range of the very best quality kitchen products; all manufactured with care and attention to high-level industry standards. Our wide range of kitchens and appliances are supplied directly from the UK's top kitchen manufacturers, using state of the art / cutting-edge technologies. No matter the size of your kitchen, or indeed the size of your budget, we pride ourselves in being able to provide you with high-end, high-spec, quality kitchens and appliances, all with true style and elegance, but without the ridiculous high street price tag. Whilst working to ensure our prices remain competitive, unbeatable and affordable, we never compromise on quality and customer satisfaction. All our products come with the manufacturer's guarantees. Here at Home Innovations (Fife) Limited we place all our customers at the centre of everything we do and we are confident that we can provide a unique customer experience for each and every client. What makes Home Innovations (Fife) Limited stand out from the rest is that our working ethos is quite simple: Customer First, Customer Centred, Customer Satisfaction. Concepts Scotland Ltd. is a Kitchen, Bedroom and Bathroom retail business catering for the public and trade. 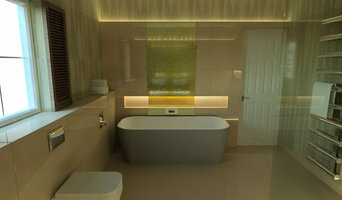 From design to supply to installation, Concepts Scotland Ltd. takes care of the home improvement project from start to finish with a one to one service making sure that communication with our clients is maintained at all stages of the project to ensure that the client dream project is achieved. Redpath KBB (Interiors) are a design & installation team that,from the design studio based in Musselburgh (Edinburgh & East Lothian) have been creating dream interiors for our fabulous customers since 2003. Use the Houzz Professionals listings to find Heriot, Scottish Borders, UK kitchen and bath accessory vendors. Don’t rule out asking a kitchen manufacturer’s design team for help, too. Skills often can be overlapped to save you time and money! Here are some related professionals and vendors to complement the work of kitchen & bathroom fixtures: Kitchen & Bathroom Designers, Kitchen & Bath Renovators, Interior Designers & Decorators, Joinery and Cabinet Makers. Find kitchen and bath fixtures and accessories, plus installation experts, on Houzz. 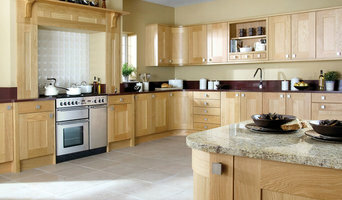 Check out Scottish Borders kitchen products and installers, and bath plumbing products and installers, on Houzz. 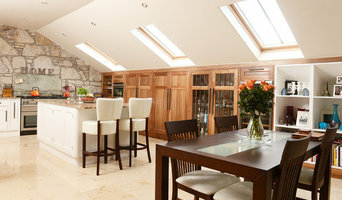 You can also look through project photos provided by Heriot, Scottish Borders, UK renovators, retailers and designers.